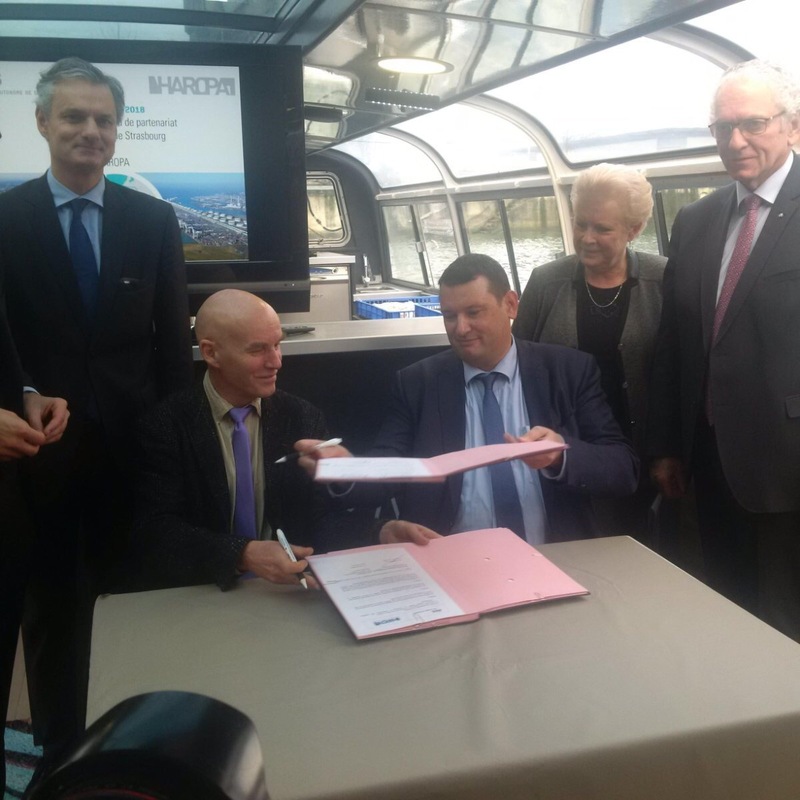 The Port Authority of Strasbourg (PAS) and HAROPA have signed a partnership agreement aiming at enhancing their cooperation. The cooperation between HAROPA and PAS will focus mainly on four major lines of development. Firstly, multimodality is on their joint agenda. They wish to make a scheduled and high-performance rail service emerge, that connects their business areas in Day A – Day B. Secondly, the partners will focus on port cooperation in order to improve the performance of the TEN-T network, mainly concerning the Atlantic, the North Sea-Mediterranean, the Rhine-Alps and the Rhine-Danube corridors. Innovation and digitalisation constitute the third line of development. The partners shall give special attention to the sharing of best practices in this domain. Finally, PAS and HAROPA will work together on promotion as they wish to communicate with one voice in Europe and abroad.